After leading several optics companies through turnarounds and corporate buyouts, University of Arizona alumnus and optical scientist Chris Koliopoulos is back in Tucson. 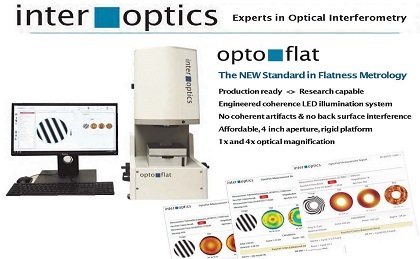 And he’s started a new optics-based metrology company with a crew of long- time colleagues. 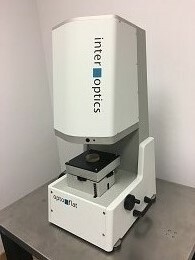 InterOptics LLC plans to offer high-precision optics-based measurement equipment to technology industries that make or use precision surfaces, such as computer disks, optical components, laser mirrors, polished ceramic valves, and bare silicon wafers. 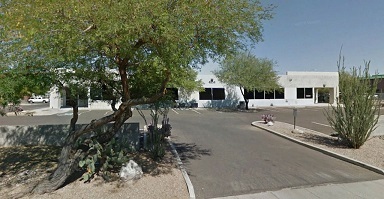 The company purchased a 17,500-square foot industrial building near North La Cholla Boulevard and West Ruthrauff Road last year and has been in “stealth mode” as it prepares to start production on its first metrology device, Koliopoulos said. The company isn’t divulging its first product, though will that come soon, Koliopoulos said. “We hope to be in full production in a couple of months,” he said. The former UA optical-sciences professor and serial entrepreneur said he and some colleagues decided to launch InterOptics after Koliopoulos stepped down as CEO of Zygo Corp. in 2014. Koliopoulos, 66, founded InterOptics with Klaus Freischlad, the company’s optical engineering director, and director of operations Matt Boston, who both had worked with him at his earlier optics companies. In fact, most of InterOptics’ 10 current employees are former work colleagues, Koliopoulos said. “"It’s like getting the band back together — one more roadshow, that’s what we’re doing,” he said. Koliopoulos co-founded Wyko Corp. with colleagues in the former UA Optical Sciences Center in l982. That company was sold to Veeco lnstruments in 1997 and is now part of Bruker Nano, which still makes optical metrology instruments here. Meanwhile, Koliopoulos started another optics-based metrology company, Phase Shift Technology, that merged with Boston-based ADE in 1998. He was named CEO of ADE in 2002 as the company was struggling and helped turn it around, until it was sold in 2006 to KLA-Tencor, a Bay Area computer-chip equipment maker. Another optical metrology company Koliopoulos founded, Zemetrics,was acquired by competitor Zygo Corp. in 2010. Koliopoulos was named CEO of Zygo in 2010. Today, Zygo is gone from Tucson, along with KLA-Tencor. “The problem with Tucson for its high-tech companies, is that the larger companies that acquire them either want the technology or they want to stop a competitor but they don’t really appreciate the main asset of a company and that is its employees,” Koliopoulos said. Tucson high-tech companies also continue to have problems getting enough qualified workers – particularly skilled technical workers without advanced degrees. “Companies will not come out here unless we build up Pima College and the trades-type of education,” he said. “Everyone will try to recruit engineers, because you can afford to do that, but you’re not going to relocate technicians.” Koliopoulos said he’d like to see Tucson’s Optics Valley grow again, citing the success that rival Rochester, New York, area has experienced with what he says are more supportive education and startup programs. “That’s why I said I’m going to put my money where my mouth is here in Tucson and keep it going,” he said. Contact senior reporter David Wichner, Arizona Daily Star, at dwichner@tucson.com or 573-4181.